+ DAB Ch. "Radio Vaticana Italia"
Vatican Radio also broadcasts its programs through 10 web channels. 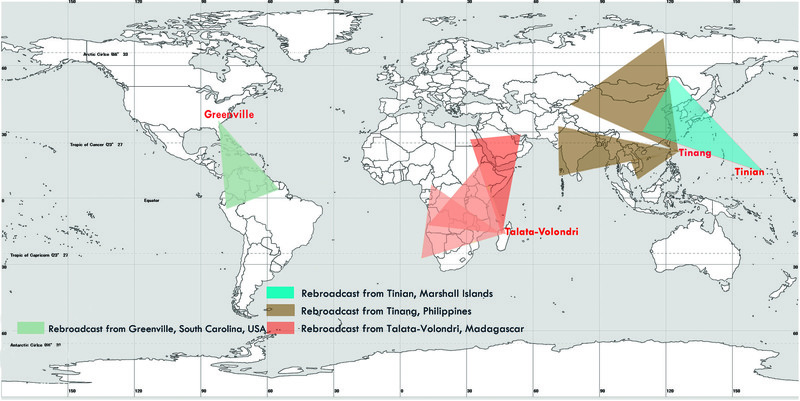 The first five, always on, broadcast programs in all languages. The remaining are live only during the Holy Father’s events and broadcast a radio commentary in various languages. + DAB "Radio Vaticana Europe"
+ DAB "Radio Vaticana World"
Programs to ROME and LATIUM + DAB Ch. 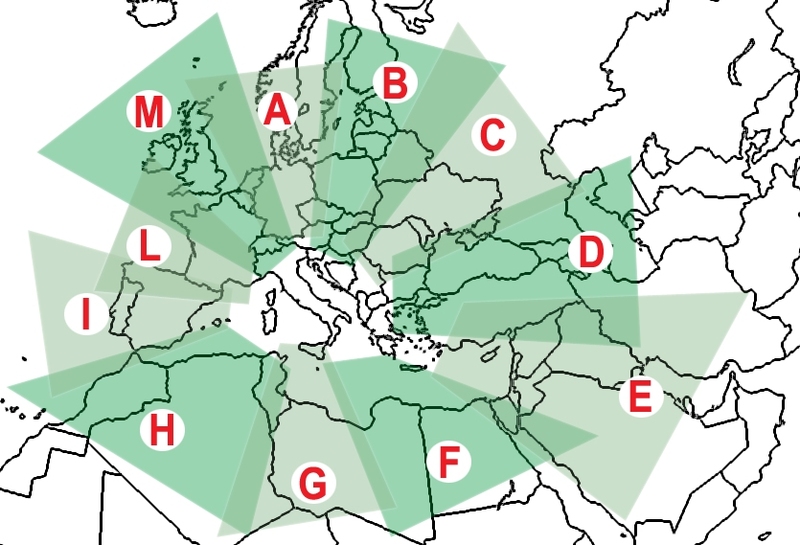 "Radio Vaticana Italia"
Short Wave broadcasts go out to the whole world and are subject to local time changes based on UTC (Coordinated Universal Time). In Italy that means UTC+2 (during Daylight Saving Time) and UTC+1 (during Standard Time).